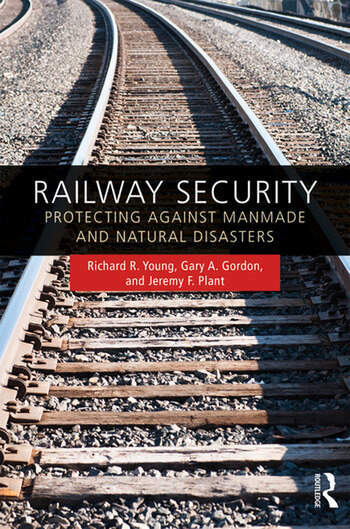 This book provides an overview and assessment of the security risks, both manmade and natural, facing the railways and rail networks. Railroads face significant threats from disasters, but with situational awareness and coordinated effort these can often be substantially minimized. Transportation assets have always been vulnerable to natural disasters, but in the current environment these assets are also a preferred target of human-caused disruption, especially in the form of terrorism, as the events in many other parts of the world have underscored. Railways are not a homogeneous mode of transportation given their various roles in intercity and commuter passenger movement, as well as being a major portion of the freight ton-miles upon which the U.S. economy is highly dependent. Designed to provide advice for railway owners and first responders, this text discusses how to secure hazardous material transport and how to establish guidelines for rail freight operations and rail passenger operations. 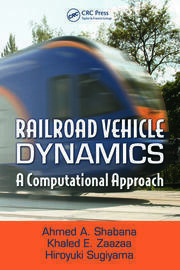 The book aims to develop an understanding of the unique operating characteristics of railways, the nature and the range of vulnerabilities, the present means for protecting the infrastructure, and the public policy initiatives that are prerequisite for developing a comprehensive appreciation of the magnitude of this issue. 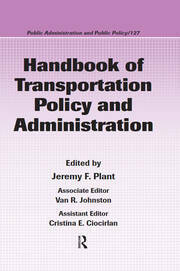 The book utilizes case studies of transport disasters to illustrate lessons learned and to provide critical insight into preventative measures. This book will be of great interest to students and practitioners of transportation, technology and engineering, and security management. 11. Protecting Rail Infrastructure: Where Do We Go From Here? Richard R. Young is Professor of Supply Chain Management at the School of Business Administration, Pennsylvania State University, USA and a Fellow of the Chartered Institute of Logistics and Transport. Gary A. Gordon (Lt. Col., USA, Ret.) is Adjunct Faculty at the University of Massachusetts Lowell, USA, and former Assistant Federal Security Director for DHS/TSA, Railroad Specialist for the former ICC, and Assistant Chief Engineer of a Northeast railroad. Jeremy F. Plant is Professor Emeritus of Public Policy and Administration, Pennsylvania State University, Harrisburg, USA.